Extrajudicial Killing stories at Techdirt. stories filed under: "extrajudicial killing"
The Intercept has just published an incredible article (in five parts) on the United States' drone-strike programs. Based on documents handed over by yet another leaker, the article contains some very disturbing information about the CIA's targeted killing activities -- including the fact that targeted killings are rarely well-targeted. To begin with, there's the problem of distance. The drone strikes in Yemen and Somalia attack targets much further away than those targeted in the Iraq and Afghanistan. Because strikes routinely occur on the outer limits of the Predator drones' range (up to ~1000km), surveillance is abandoned in favor of attacks. When a drone strike does occur, it usually utilizes multiple drones to ensure the target has been killed (the "Find, Fix and Finish" or "F3" cited in the documents). Because of this, lots of "blinking" occurs (gaps in surveillance coverage) that snowballs into future intel gaps that make other "targeted" strikes even less targeted. Added to this is the fact that blowing someone up doesn't leave much for analysts to sort through. The "host-nation partners" are also part of the problem. They have their own needs and desires and aren't above having the CIA do their dirty work for them. In 2011, for example, U.S. officials told the Wall Street Journal that they had killed a local governor because Yemeni officials didn’t tell them he was present at a gathering of al Qaeda figures. “We think we got played,” one official said. Even in Afghanistan, where surveillance coverage was better and signals intelligence stronger, drone strikes still resulted in the deaths of several non-targets. [D]ocuments detailing a special operations campaign in northeastern Afghanistan, Operation Haymaker, show that between January 2012 and February 2013, U.S. special operations airstrikes killed more than 200 people. Of those, only 35 were the intended targets. During one five-month period of the operation, according to the documents, nearly 90 percent of the people killed in airstrikes were not the intended targets. The US government marginalizes this collateral damage by referring to nearly everyone it kills -- targeted or not -- as "combatants," "military-aged males," or simply "enemies killed in action." Very rarely has it been forced to confront the reality of its inaccurate attacks. But the CIA is sold on the program and it has been for years. Drone strikes may cause a lot of collateral damage and are prone to manipulation by local governments, but the US considers this program to be the most "efficient" way to "eliminate" terrorist threats. It has almost completely eradicated an essential component of its counterterrorism efforts, though. Dead men provide no HUMINT. At one time, capturing suspected terrorists used to be part of the equation. That's no longer the case. Surveillance now appears to be used mainly for targeting, rather than intelligence. Data and communications acquired by the NSA feeds into drone strike operations -- not to provide information on potential attacks -- but to locate targets. Money and man-hours are poured into surveillance, only to have a possible source of future intel killed off, rather than made use of. 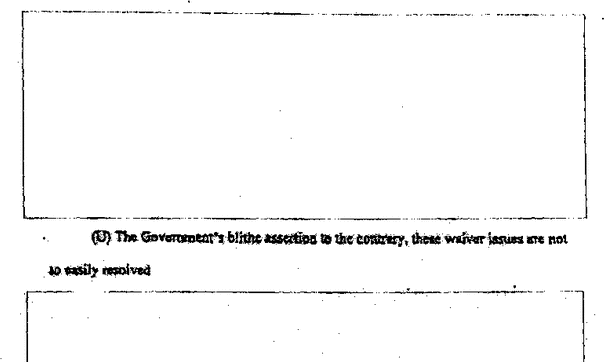 Take the case of Bilal er-Berjawi, known to the US government as "Objective Peckham." British and US intelligence surveilled Berjawi for six years, without ever making a serious move to "capture" him. Once it was decided he was supplying terrorists with weapons and money, the UK government stripped him of his citizenship and a CIA drone strike in Somalia took his life. The entire Intercept piece is more than "worth reading." It's an essential, damning look at a program the US government has long touted as a success. The leaked documents suggest otherwise. Instead, they point towards an "extrajudicial killing" regime that sanitizes the carnage and deprives collateral damage of its humanity. While the program may have eliminated a few terrorism suspects, the program is predicated on the notion that only those who present an "immediate threat" will be killed. As we can see from the case of Berjawi, this "immediate" threat lasted more than six years and included multiple, unchallenged reentries to the UK. This is part of who we are as a country: judge, jury and executioner, divorced from the humanity at the other end of the drone strikes by lines of code and thousands of miles. A few weeks ago there was a fair bit of controversy after a US drone-strike killed an ISIS "hacker" who was, among other things, popular on Twitter. While US officials tried to paint him as a much bigger deal behind the scenes, some are now admitting that he was just noisy online. ABC News is reporting on the supposed internal debate among US counterterrorism officials concerning how to best deal with ISIS Twitter users. Some are arguing that these guys are small time annoyances, while others are arguing that we should just straight up kill ISIS tweeters. This next quote is fairly incredible. And if you're running a propaganda war, do you really think the best strategy is to kill people for speaking their minds? That doesn't convince anyone to change the way they're thinking. It just radicalizes more people. Having US officials state "we are the angel of death" doesn't project anything other than pure bloodlust among US officials. It suggests a war where at least some US officials think the way to deal with ISIS is to stoop to their level -- by mindlessly killing people we don't agree with and assuming it's "fair game" so long as they've mouthed off online. Except there's an implicit assumption in there: that these Twitter accounts are successfully recruiting members of ISIS by the thousands. As we've pointed out before, the evidence suggests that, while the internet may play a part in radicalizing some individuals, it's likely a fairly small part. Your local (in person) social network is a much, much bigger factor, and almost no one is simply becoming radicalized because they started to follow an ISIS person online. I can't see how that makes us any safer. It seems like quite the opposite is likely. When the US finally set up some "rules" for its extrajudicial killing-via-drones (after years of no rules at all, which allowed the CIA to "acquire a taste for killing people with drones"), one of the "rules" was that drone bombs wouldn't be used unless there was a "near-certainty that no civilians will be killed or injured." As President Obama noted, this was "the highest standard we can set" to avoid civilian casualties via drones. This high standard upset some bloodthirsty hawks like Rep. Mike Rogers, who saw things like actually trying to prevent civilian casualties as unnecessary "red tape." And, in fact, soon after the rules were in place, the Obama administration itself started realizing that it didn't really like the restrictions it put on itself. So it's just going to ignore them. Last week, we wrote about how the administration has been redefining pretty much everything to justify the attacks on Syria, including what is meant by "civilian." However, even with that new definition, they've run into some very obvious problems: namely that there's increasing evidence that (despite repeated denials) the bombings did, in fact, kill civilians. No problem, apparently, for the Obama administration, which has now decided that the very rules it set up in the past to avoid killing civilians with drones... no longer matter. Basically, it looks like the Obama administration just added a big fat asterisk to the "near-certainty" standard for civilian deaths, whereby those rules can be ignored... because the Obama administration says "this is different." At the same time, however, Hayden said that a much-publicized White House policy that President Obama announced last year barring U.S. drone strikes unless there is a “near certainty” there will be no civilian casualties — "the highest standard we can meet," he said at the time — does not cover the current U.S. airstrikes in Syria and Iraq. It's not much of a rule when you can exempt it based on... deciding to exempt it. 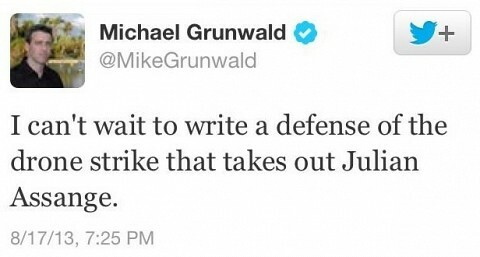 Furthermore, the court is curious why the DOJ didn't provide those documents already. Thus, it also has asked the DOJ to provide a memo under seal explaining itself as to why it didn't already release those memos. The government now has three weeks to comply, though, I imagine the DOJ will try to come up with some way to protest all of this, because that's what the DOJ tends to do. This kind of thing is all too common, but tremendously problematic. For folks actually trying to understand what the law actually is the fact that people have to play this bizarre game of 20 questions, seeking secret laws and interpretations, only to get breadcrumbs pointing to other secret interpretations of the law is just ridiculous. We've complained in the past about the dangers of a secret law, but just the fact that the American public needs to play this stupid game, and the DOJ appears to have broken up the secret interpretations of the law into different sections, making it that much harder to track it all down, raises serious questions about what sort of government we have, and how Americans can be expected to respect, let alone obey, the law when we can't even be told what it is. The American government has killed four Americans with drone strikes since 2009, all of which were completely detached from any notion of due process. At best, the DOJ builds a case against the foreign-located citizen and, if the target resides in a nation where the US can get away with utilizing weaponized drones, the American citizen is sentenced to death via push-button operator. The administration has never released its legal justifications for the extrajudicial killing of American citizens. The DOJ has fought any demands for this document's release, but a recent decision by the Second Circuit Court of Appeals ordered the agency to release "key parts" of the secret memo. The administration declared that it would honor the court's order and used the supposedly imminent release of the drone killing memo as leverage to push through its nomination for an appeals court seat. This nominee, David Barron, was a controversial pick due to his status as the principal author of the still-unseen drone memo. Now that the administration's nominee has been approved, it's gone back to its standard m.o. of dragging its feet over the release of the memo. One week after the Obama administration said it would comply with a federal appeals court ruling ordering it to make public portions of a Justice Department memo that signed off on the targeted killing of a United States citizen, the administration is now asking the court for permission to censor additional passages of the document. Not only does the administration want to remove more information from the memo, but it apparently hoped it could do so in secret. 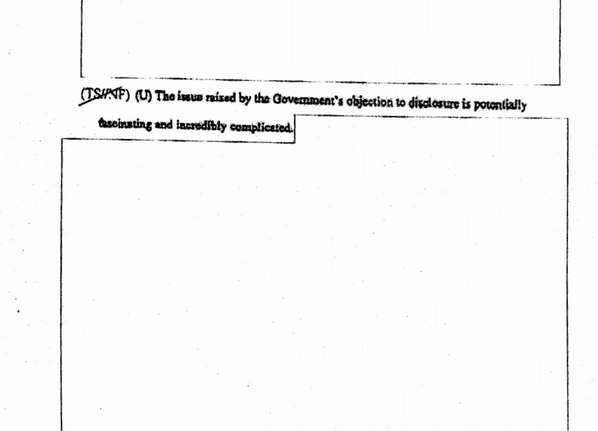 Some of the information the administration was hoping to redact is already public knowledge -- like the agency (CIA) that worked with the Defense Department to carry out the strike on Anwar al-Awlaki -- a killing that was carried out even though the DOJ had yet to complete its case against him. The administration now has the judge it wants and a court order it doesn't. Judging by the hurry-up-and-wait treatment of the so-called "Torture Report" (which also involves the CIA), there's little reason to believe this document will be publicized any time soon, or with very much of it left intact. When it does finally make its way into the open, I'd be surprised if it contained anything more than the usual "terrorism renders most laws and civil liberties void" rationale. The ruling is good in that this sort of information should be public and should be discussed publicly. However, at the same time, it also will likely lead to the administration clamping down on any other such information that it hopes to keep entirely secret -- which could be a real problem. It will lead to even less transparency and fewer open discussion concerning issues of the US doing things under questionable legal authority. As we've seen over the past few years, DOJ lawyers seem happy and willing to justify just about anything, twisting the law in all sorts of ways to make very questionable decisions deemed "legal" with little to no oversight or review -- and no public discourse whatsoever. Of course, it seems likely the DOJ will protest this latest decision and seek a Supreme Court review first, so it's not like the justification is going to be revealed any time soon.